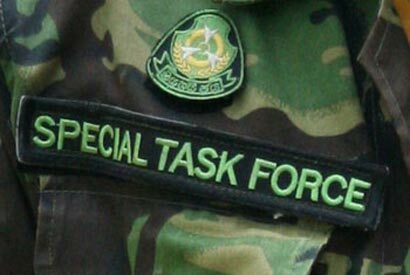 A police constable serving with the Special Task Force (STF) was killed after being accidentally shot by another officer during a raid carried out in the Ridee Ella Reserve at Bakamuna, Dambulla. Police said a group of STF personnel were involved in the operation to arrest individuals engaged in illegal timber rackets in the area when the automatic rifle of an office accidentally discharged resulting in the death. The victim, a resident of Matara, was attached o the Dambulu Oya Special Task Force camp.